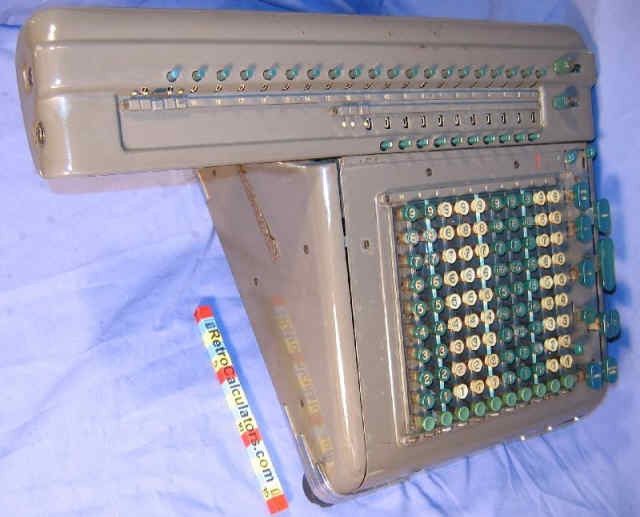 The Fridén C10 had a 'split' key for automatic division. Two adjacent division keys are pressed together to accomplish automatic divisiion. 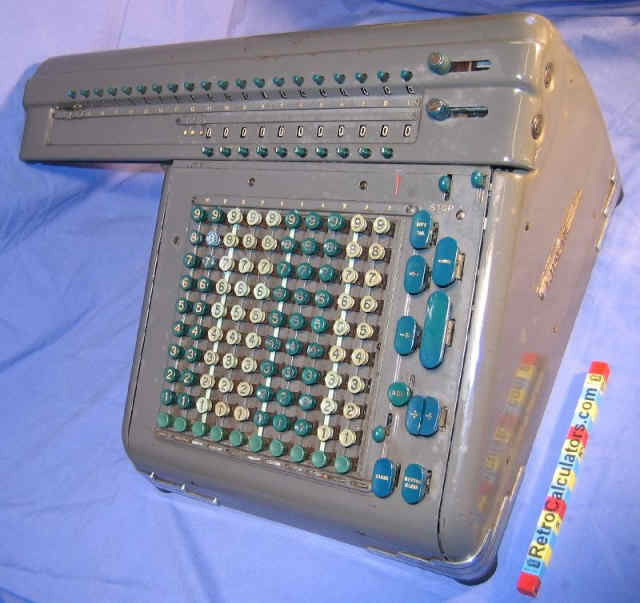 This oddity was apparently incorporated to avoid a patent conflict with Marchant. On the brass-colored gears in the middle, the top teeth add while the bottom subtract. The large black gear at the top drives the carriage left and right. Here we see Friden's approach to the Leibniz Stepped Drum. 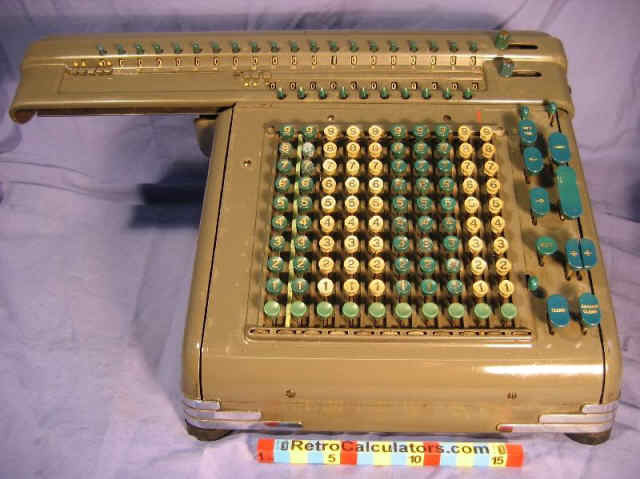 The 2 gears (on the left) slide up/down as different keys (0-9) are pressed on the keyboard. 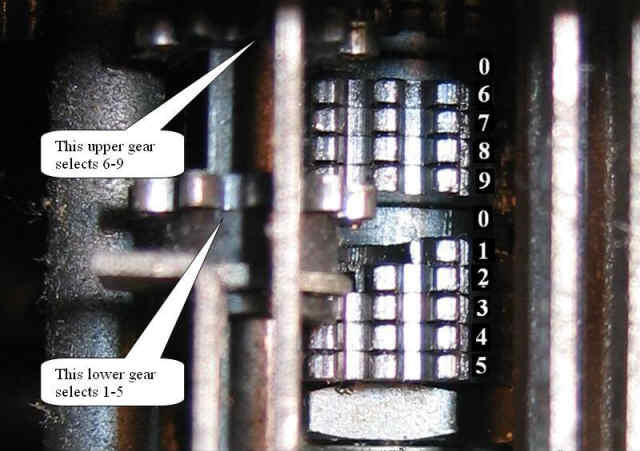 When the stepped drum (right) turns, one of these gears will advance by the number selected. In this photo, the two gears are in the zero position and so will not turn with the drum. 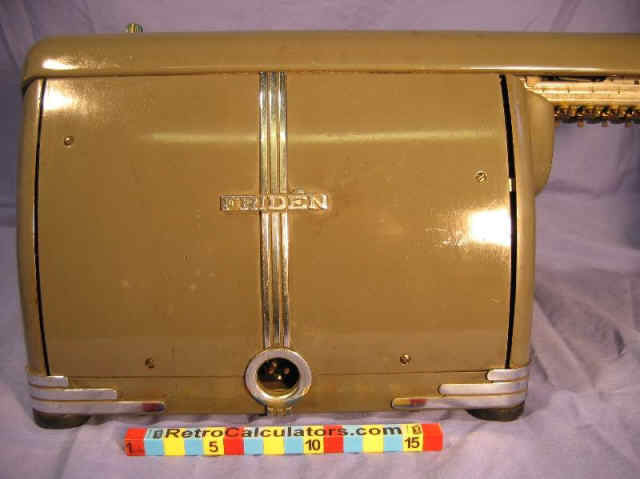 John Wolff's Web Museum has a nice overview of the Friden Calculating Machines. A tribute to Carl Fridén & his company The Friden Web Site. Yahoo Groups has an e-group (moderated) for Fridenites. Here is a link to a helpful German-language Friden site . Here is an English translation of the same site (courtesy of Google translate).